Don't ask me why we've travelled from a half decent summer in London to Melbourne in winter but here we are and (thanks to some good friends for the introduction) I'm happy to share Elk Accessories for those of you who don't know this brand. Based in Melbourne, Elk's founders are committed to working with small manufacturers around the world to produce two ranges each year. The men's range includes canvas and leather bags and silver cufflinks and the women's range includes clothing, jewellery, shoes and bags. This is a great sized, great quality bag. It's got an open top with a single internal zip and mobile pockets. 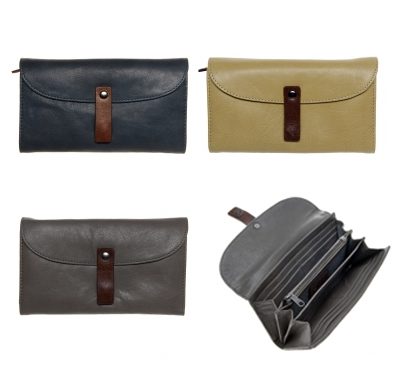 It comes in two colours, in a raw unlined buffalo leather, and both colours are very versatile and trans-seasonal - I really like the grey. Priced at AU$195 they are really reasonably for the quality of the product. Available in two sizes, large and small, the Skye satchel is made from soft New Zealand leather and with a durable belt leather strap. Both sizes have two sections, a smaller section under the flap and a larger main compartment. The small satchel measures 22.5 x 24 x 4cm and the large is 40 x 29 x 4cm and sold as a more unisex style. NB. The grey version is no longer being made in either size. The Falun leather wallet is probably on the large side for a wallet (19 x 11 x 3cm's) with the upside being it stores a lot of cards. It's got three decent sized spaces for notes, a long zipped pocket and a magnetic closure. 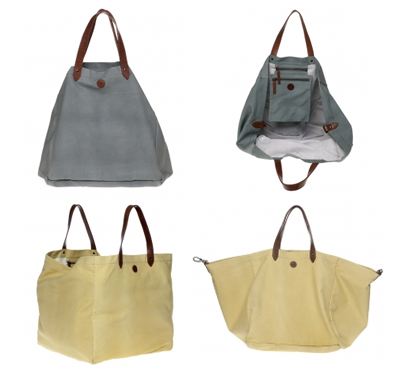 I do love a tote and I can imagine taking this cotton canvas one everywhere. 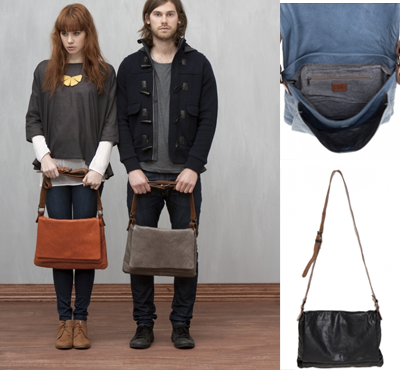 It's got raw leather handles, is made from thick cotton canvas and has a zip out pouch inside. There's also a leather buckle that can be used to close the bag. The size of the Gävle is 40x37x37cms. Do you have a favourite from the Elk collection?